Team Assembler Jobs - Works as part of a team having responsibility for assembling an entire product or component of a product. Can perform all tasks conducted by the team in the assembly process and rotate through all or most of them rather than being assigned to a specific task on a permanent basis. May participate in making management decisions affecting the work. Team leaders who work as part of the team should be included. Team Assembler career is part of the Manufacturing cluster Production. Performs quality checks on products and parts. Packages finished products and prepares them for shipment. Rotates through all the tasks required in a particular production process. Shovels, sweeps, or otherwise cleans work areas. Reviews work orders and blueprints to ensure work is performed according to specifications. Electronics Assembler - Assembles electronic equipment, parts and components. Fabricator - Fabricates and assembles structural metal products, for example framework or shells for machinery, ovens, tanks, stacks, and metal parts for buildings and bridges. Production Technologist - Identifies critical factors that affect production downtime and seeks effective measures to better the quality and performance of the production unit. Here's a list of skills used in Team Assembler career that are also used in other careers. Workplace skills are practiced activities that help people become successful in all kinds of careers. Here's a list of the workplace skills that are used in Team Assember career. 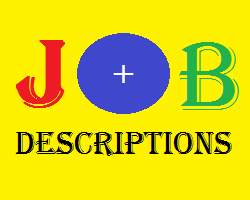 Belum ada Komentar untuk "Jobs Description of Team Assembler"